Drinking water is a valuable resource on boats, caravans, any recreational vehicle – Keep your tank water pure, clean and fresh by installing a Nature Pure QC water purifier. The Nature Pure QC is the top-of-the-line water purifier, using the same technology as the Seagull IV system to provide high quality, pure, healthy, safe drinking water at a reasonable price, particularly when the cost of bottled water (to both the wallet and the environment) are factored in. The Nature Pure QC is the perfect water purifier system, a truly unique, compact, point-of-use appliance designed to change virtually any non-salt water into delicious drinking water that is both safe and enjoyable to consume. Because the Seagull IV technology is developed with aircraft, yachting and recreational vehicle applications in mind, the Nature Pure QC is especially rugged, dependable, simple, and easily serviced. It requires no addition of chemicals and no electricity. All Nature Pure QC water purifiers are certified to meet US EPA Guide Standard for Microbiological “Purification” for the removal of bacteria, pathogenic cysts and virus. Owners who do not want to add a separate tap can opt for the basic in-line model, which can be fitted onto any current tap. 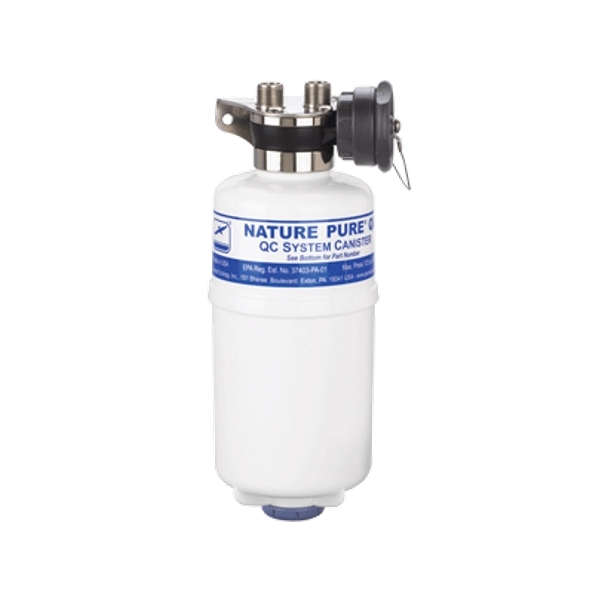 Nature Pure® QC Tap Water Purifier eliminate traditional pressure vessel “housings”. Instead, small, lightweight, replaceable canisters are easily threaded into a compact stainless steel “interface units”. 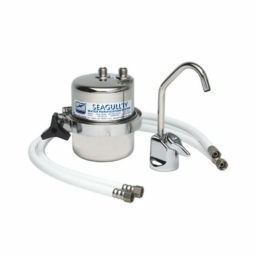 The Tap model is installed with its’ own dedicated Seagull IV Tap. 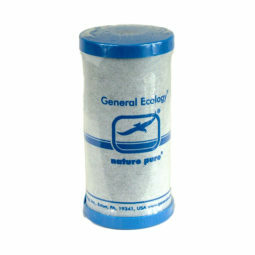 Environmentally friendly Nature Pure QC systems with the NPRS2QC canister employ General Ecology’s unique “structured matrix™” purification technology — purifying water instantly without needing electricity or chemicals, and are independently certified to EPA Guide Standard Protocol against waterborne bacteria, cysts and viruses. Water pressure is automatically turned off when a canister is removed from the interface unit, and turned on when a canister is threaded into place. These systems are exceptionally space saving, easy to install, operate and service, and weigh less than most other systems. Removes Bacteria, Viruses, Heavy Metals and more…..